Hello all I was wondering if someone could make a 3d animation for me using blender3d. I want this logo to be transformed into 3d and have some sort of effect that would look nice on a web page. Here’s the pic address. its not that hard but is the G and the C supposed to be in the same mesh? or behind each other?? If could can you do it in a video format. I am going incorperate using flash mx. anything idk spin i guess? anything you come up with. I just need a better logo for my website to incorperate in our ads and flash movies. ok, i’ll just make a spin first then? btw, the background color. what color you want? is this kinda what you are looking for?? it is kinda cool with the i inside the C, or do you want it plain and clean like the logo as it is just spinning? Dude thats like exactly what I want. Um for the background uuuh make it um white for now then can you post .blend so that when I get blender fixed i can edit? Oh yeah can you make them shiny like that also? If it’s not too much I mean. Working on it now. What resolution should the image be? Edit: By the way, Kronor, I’m not trying to steal your project. I just thought this would be nice practice and the more choices Vincimus has, the better. Before I animate it, here’s a test render. I couldn’t view the webpage example, so I made the lighting and everything as I had imagined it. Go ahead and tell me what to change. Right now, the logo is made of two bezier curves, with the g in front of the c. Should I change it so they’re merged together? Edit: I changed the lighting; much better now. Can you make the C and the G more shiny though? Kind of glossy. Oh and make the background white? Not to be picky or anything. Oh and merge two yeah. Glossy as in looking like they have a plastic coating? 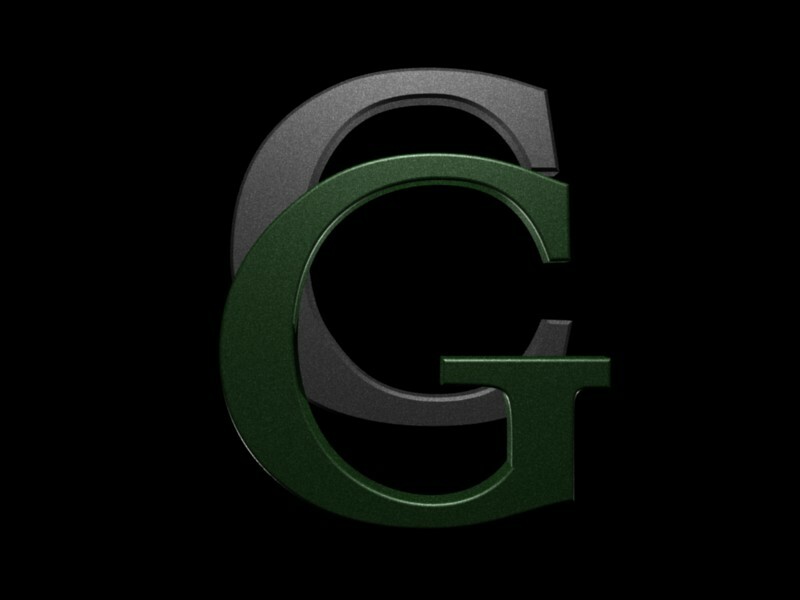 Oh, and while that image is up, would you like the edges to be sharp like the c or smooth like the g? Yeah, I get what you’re saying. I’ve just been animating it. Took me forever because I couldn’t understand how to edit IPO curves at first.